Come along to It's All About Rhymes in the Library and join in the fun as we sing songs and action rhymes, and share great books for babies. During sessions parents, grandparents and carers sit with their child and the group leader guides everyone through a selection of songs and rhymes. Rhymes and songs are great for growing baby brains! Suitable for ages: birth to 2 years. It's All About Rhymes is FREE and runs during term times. 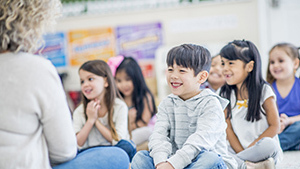 Preschool Story time aims to introduce children to the world of books, encourage a love of reading, stimulate imagination and enable social interaction with other children outside the home. Come and join the fun as we share a variety of picture books, stories, songs and rhymes. Parents, grandparents and carers are all welcome. It's All About Stories is FREE and runs during term times. Its All About Play in the Library is a free, multi-sensory, hands-on active and child centred program that offers opportunities for families with children aged 4yrs and under to play and learn together. The program is also designed to increase the understanding of parents and carers of the importance of play in early childhood development. Hands-on sessions are held during term time at all four of our library branches. A range of toys and resources is also available at all branches throughout the week. It's All About Play is FREE and runs during term times. LETS workshops assist families to improve and practise English in an educational environment. LETS includes songs, rhymes and stories plus interactive activities which develop children's confidence and language. 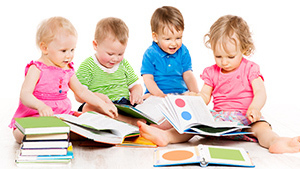 The Learning English Through Storytime program is offered at Girrawheen Library. Bookings are essential. Visit Girrawheen Library to register your place. Busythings is an online resource for the early years that includes 115+ fun learning activities that help children learn important skills in the key learning areas of creative development, problem solving, reasoning, numeracy, communication, language and literacy and knowledge and understanding of the world. Access is available from home and library branches with your City of Wanneroo library membership barcode. 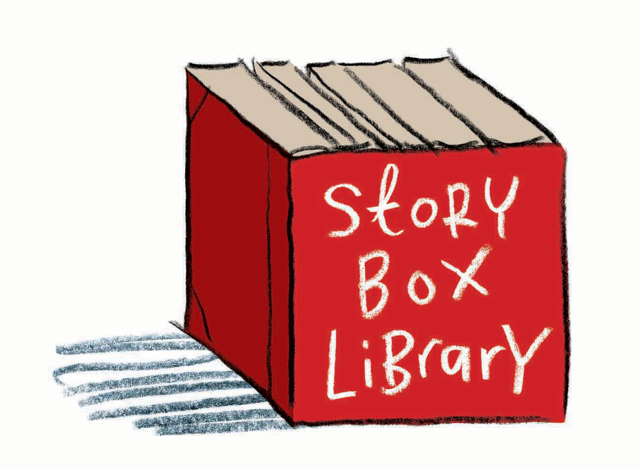 Story Box Library is a place where the wonderful world of Australian Children's Literature is on permanent exhibit Story Box Library in a beautiful online 'reading room'. You do not need to register just login with your library barcode. Access is available from home and library branches. 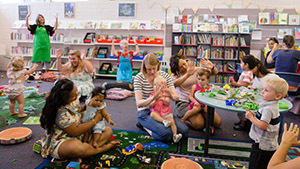 Better Beginnings is a State Library of Western Australia initiative that brings together research and practice, babies and books, families and libraries by introducing children to developmentally appropriate books and language activities. 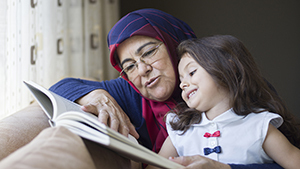 The program supports parents as their children's first teachers and raises awareness of the value of reading. Visit the Better Beginnings Website for home fun, games, books, literacy tips and more.